We are on our travels again with a presentation at the Alt-c conference in Warwick (September 6th – 8th). We have prepared a demonstration of using Aurasma for an augmented reality word hunt – (see the page ‘word hunt‘ for the online version). All the materials for this are readily available and the idea can be adapted for more thought provoking educational content. We think the main benefit for students is to create these kinds of materials but you could also develop your own quiz format for others to play with. We have consolidated our experiences with using Aurasma for AR in practical workshop sessions and class room based activities. We have produced a short booklet outlining how to use Aurasma and a work sheet that can be used to for a workshop activity. We are now off to wider vistas with a workshop at ALT-C (Association of Learning Technologies Conference) 2015 in Manchester on September 8th. (https://altc.alt.ac.uk/2015/). 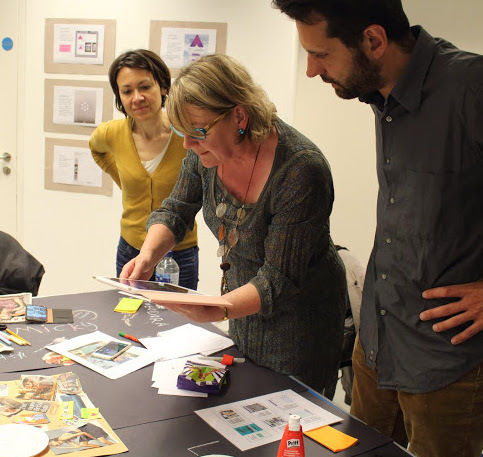 Augmented Reality (AR) meets Action Research: A workshop (re) conceptualising a year one gaming/computing curricula. Also a presentation and demonstration at ELEOT 2015 ” Using Augmented Reality to engage STEM students with an authentic curriculum” in Italy on September 16th which provides context and overview to the PDP Augmented Reality project. 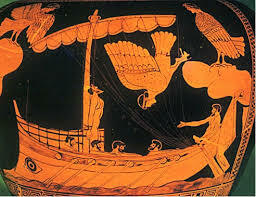 (http://eleot.org/2015/). At the recent ‘Engage’ Anglia Learning and Teaching conference (Engage Highlights) the Augmented team provided a short presentation on Developing Augmented Reality in the classroom and a longer session for participants to get hands-on experience through our workshop. 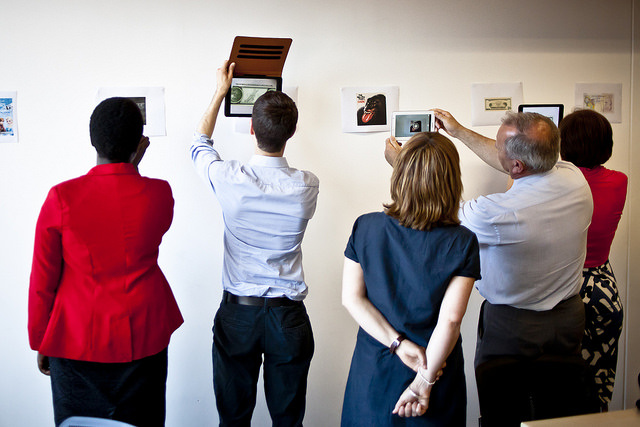 Image shows participants using ‘BOYD’ to view freely available triggers and a group concentrating on creating their own Auras. From the beginning of Augmented Reality books have been used as triggers and the media played used to enhance the reading / learning experience. As well as supplementing books for study some of the groups of PDP students (for details of these projects see the Augmented PDP page) have provided AR links to locate the library and to locate particular subject areas within the library. We also used books as the focus for the PANARU workshop, where a visiting group of lecturers and students from Panama use AR to record their comments on a selection of books and to use these as the focus for creating attractive AR enhanced posters. 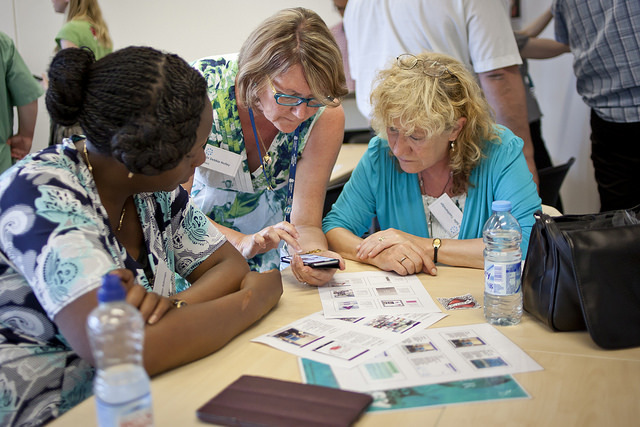 To share these experiences and to help Librarians become aware of AR and to get some hands-on experience workshops (19th July in on ARU Chelmsford Campus and 26 July on the Cambridge campus). 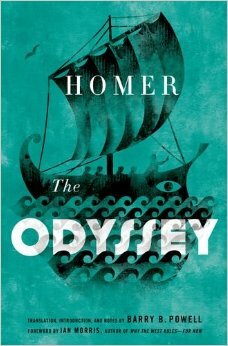 We used the classic text Homer’s Odessy with some related images for participants to use as triggers for short video commentaries that they recorded using their smart phones. We worked with the international office, ALSS, and University Librarians to host a one day event creating an “Augmented Reality Poster”. Delivered to 55 Panamanian visiting English teachers and student teachers, hosted by ALSS as part of a language acquisition programme, ‘PANARU’ – sponsored by the Panamanian government. 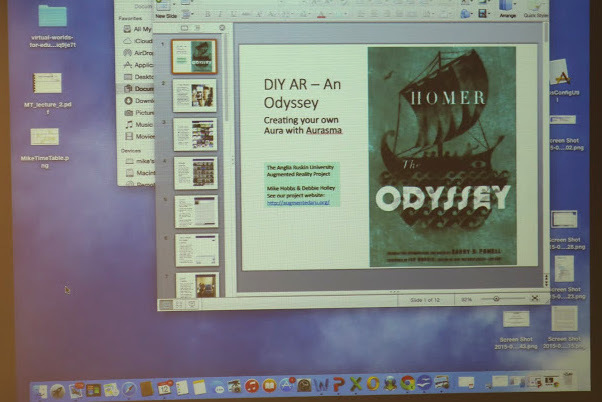 Participants were engaged in a day of activities that introduced AR and used this as a focus for creating a poster reviewing their favourite book, enabling them to create a short video triggered by the book/poster. All the materials and resources for the day were produced by Mike and Debbie, with help from the librarians (details and photographs of the day are on the project blog site). This session included three Indian Professors of Media Literature and English as part of the British Council FLAIR programme for fostering linkages in academic innovation and research. One of the professors gave a presentation on using stylistic elements to convey emotional context. The three FLAIR participants further engaged with the workshop, working with the rest of the team to support language acquisition as the Panamanian visitors developed their posters. to facilitate for . n, who wanted to experience best practice, cutting edge teaching. Team: Dr Mike Hobbs, (Computing and Technology), Dr Debbie Holley(Education), Averil Robertson (technical lead University library), Chloe Menown(subject librarian).